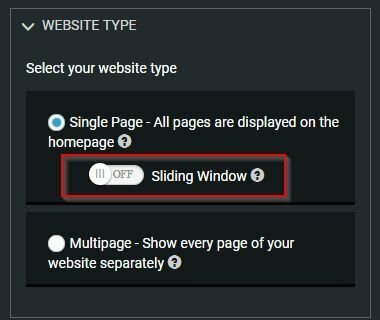 We have added the option to set a single page website with or without a sliding window (“pop-up”). This option determines whether your website’s page links will open in their own page (redirect), like in a multi-page website, or open as a sliding window. 오늘 US에서 2028가 넘는 SITE123 웹사이트가 개설되었습니다!